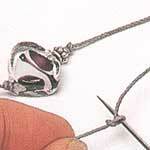 Here we outline how to knot to create spacing between beads. This is similar to how you use crimp beads to create floating-beads design - except here, you don't need to use any crimp beads. Depending on the thickness of the thread and the size of the bead-holes, you can use either a Double Overhand Knot or Single Overhand Knot to create the knots. 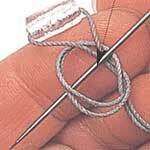 You will need a blunt-end needle or tweezer to move the knots closer to the bead or away from it to create your spacing. Use a ruler or by eye to space your beads. 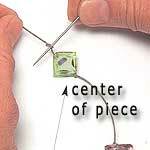 Start from the center of your piece. This is the easiest way to create these designs. 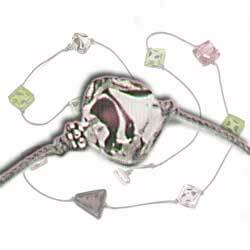 (optional) .. You can finish off by creating your own bead fastener. 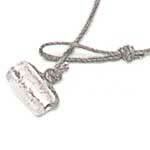 On one end, create a bead fastener by knotting one bead on so that it sits sideways. On the other end, create the loop for to finish off the fastener.